The beginning of 2016 saw another round of general rate increases (GRIs) throughout the logistics industry. Companies around the U.S. watched as their LTL rates jumped again. If you’re like a lot of prospective customers I speak with, you probably don’t like GRIs. But there’s not much you can do about them since they’re industry-wide, right? GRIs don’t happen across the industry. For example, while many businesses saw their rates go up yet again, our customers didn’t see an increase. Why? It’s an advantage of working with a third party logistics firm (3PL). Let’s take a look at three reasons we don’t have regular GRIs. Reason #1. We make carriers bid for your business. Our partners know they compete for your business. They also know if they work with us on pricing they’ll get business. With more than 80 common carriers in our database there’s a little competition. This gives us leverage and encourages our carrier partners to keep rates low. 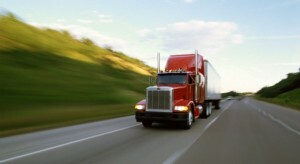 We can always find an aggressive LTL rate with the services you need. We pass those savings on to our customers. This means we don’t need to pass along GRIs to our customers. We work with a proprietary software that makes it possible to run a highly efficient office and keep costs down. The software manages our carriers, invoices, and claims. It makes data available before, during and after shipments to give accurate freight quotes, track shipments and deliver valuable analytics to reveal areas for cost-savings. The software organizes and consolidates data for us. This way we don’t need to take time to sort through file cabinets or stacks of documents to get answers. It allows us to hire experienced logistics professionals. People who know what the data means and how to apply it. This gives them the ability to stay focused on customer service and finding new cost-saving opportunities for our customers. Like technology, our highly trained and professional staff makes it possible to get more done faster. When you call us, you won’t find yourself on the phone with a newbie. Our logistics professionals understand what it takes to get freight out the door and on the road.. Dedicated professional make all the difference. They know how to get freight shipped across town, across the country or even internationally. Our team understand the regulatory requirements for shipments going to Canada and Mexico. This avoids problems and keeps your cargo moving. And it means you always know where to turn to get answers for all your LTL, truckload or partial truckload freight questions. When you go common carrier, you’re at an increased chance of GRIs. 3PL firms leverage their carrier partners and volume of business to avoid, or at least reduce, the risk of the general rate increase.